Canada Real S/N, 41220 Burguillos, Spanien. 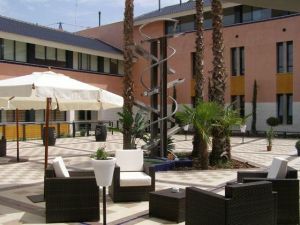 Hotel Alqueria is a business hotel surrounded by nature next to Sevilla. Alqueria Hotel is a modern establishment situated at just few kilometres from Sevilla. The hotel is located in a privileged place, in the middle of the nature. 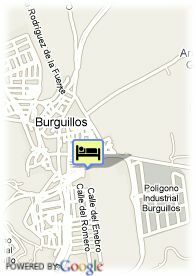 Designed as a typical grange of Andalusia, Alqueria Hotel has large rooms with beautiful views. In its inner patio, the guests can enjoy a moment of relaxation by its central fountain. Try its a-la-carte restaurant, specialized in the best dishes of the cuisine from Andalusia. Ideal both for pleasure holidays and for business travels, the hotel has conference rooms ready to accommodate any kind of events and meetings.